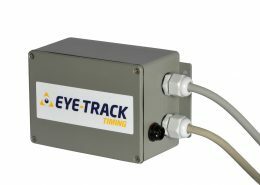 You can install EYE-TRACK on your track by choosing, at the beginning, to operate it manually, using one or more flashing lights which are remote-controlled by an operator that is visually monitoring the track. At a later stage you can decide to add one or more sensors that in the event of danger automatically switch the flashing light, which is connected to them, on. 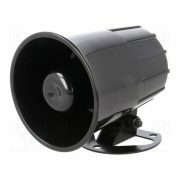 If you want, you can also add the videosurveillance system. 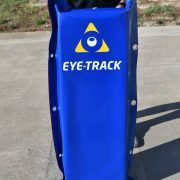 At any time, you can increase the quantity of covered blind spots by simply installing additional flashing lights and sensors. 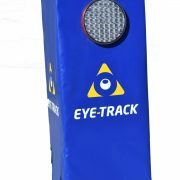 For the manual mode of operation, you only need one or more remote-controlled flashing lights and only one remote control to manage up to eight flashing lights. 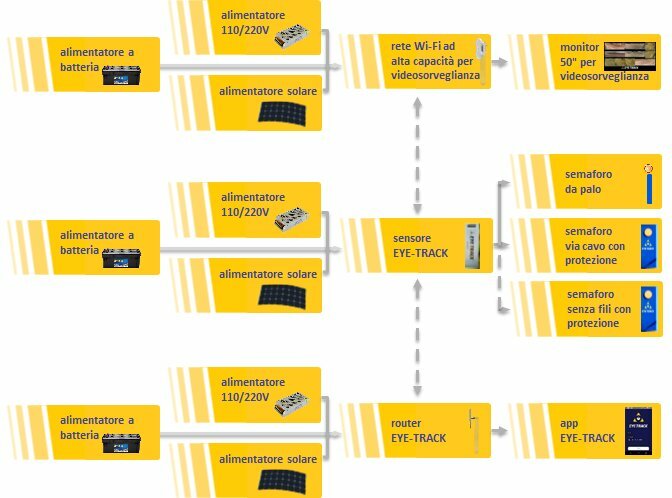 For the automatic mode of operation with videosurveillance, you need a station with a monitor to view images of the track in real time and an emergency button to switch flashing lights on. 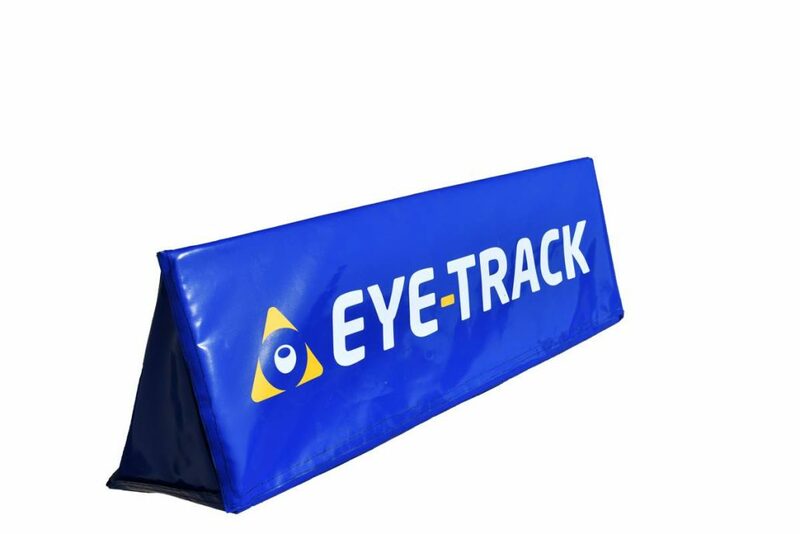 The sensor detects accidents or stops on a portion of the track up to 60 metres after a single jump. 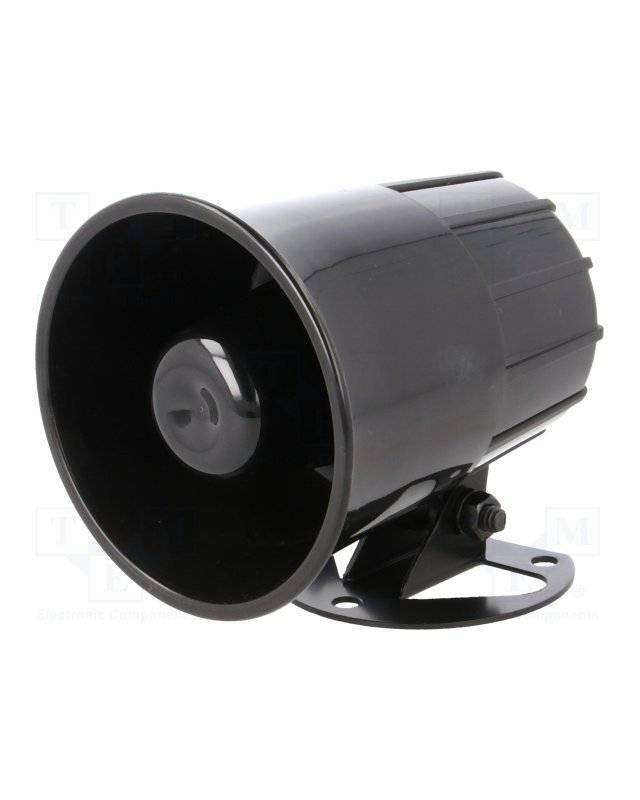 It is small and light, and it comes with a support made of fibreglass, with soft protection that bends in the event of shock. 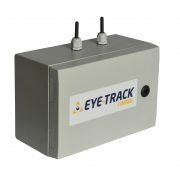 It can be connected to all types of wired or wireless flashing lights and it is equipped with Wi-Fi aerials enabling it to be connected to the EYE-TRACK app for management and to the EYE-TRACK Service Centre for maintenance. 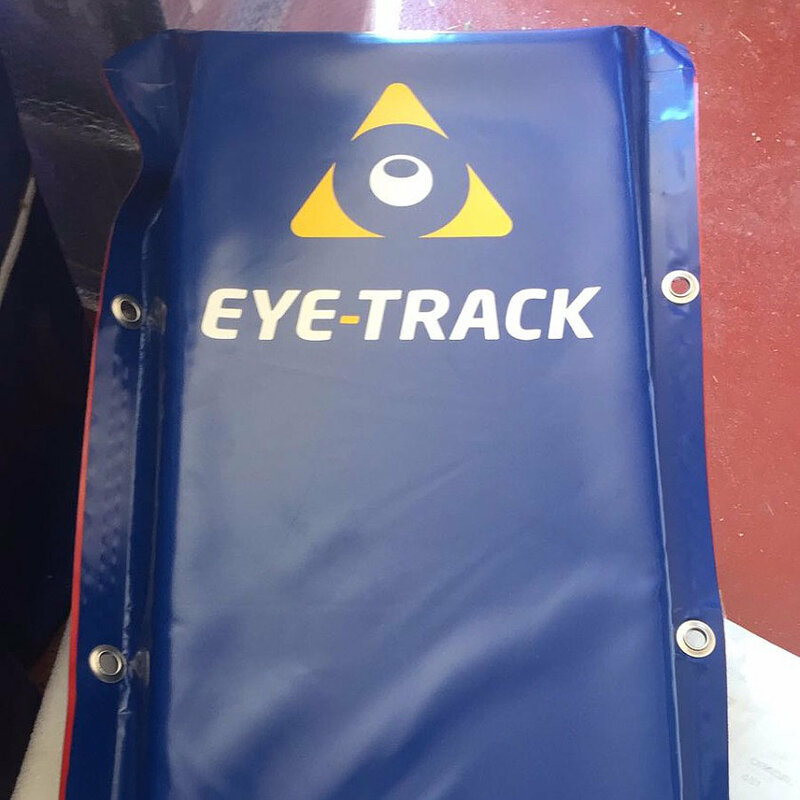 The sensor has to be placed outside the track, near the end of the jumping ramp, from exactly where a track marshal could see the blind spot to be monitored. 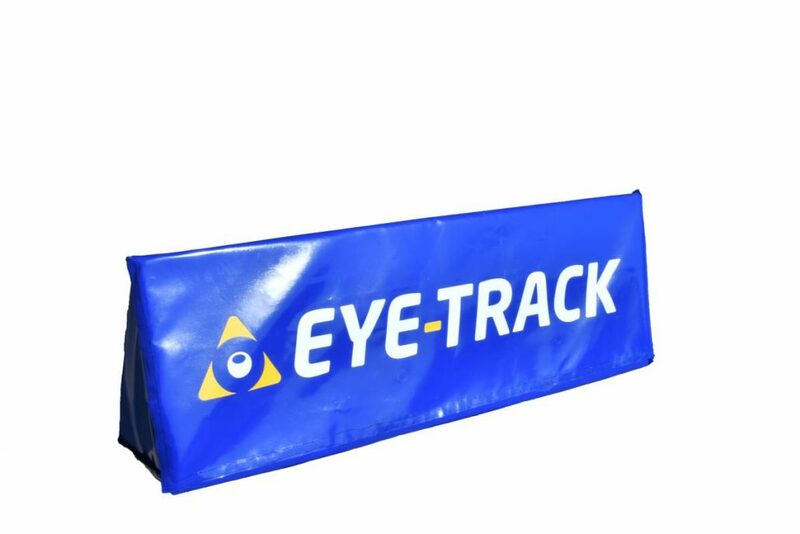 It is suitable for single jumps and for blind spots that extend far away. The sensor replaces a track marshal and monitors a blind portion of the track of more than 60 metres. 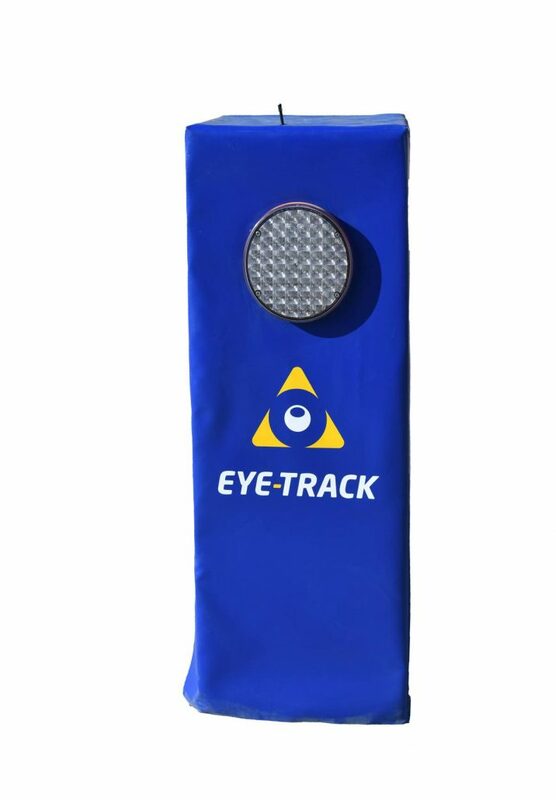 The sensor detects accidents or stops on a portion of the track before and after the landing point of a jump up to 20 metres. 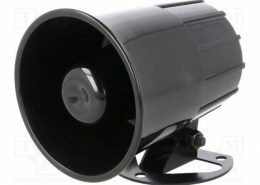 It is small and light, and it comes with a support made of fibreglass, with soft protection that bends in the event of shock. 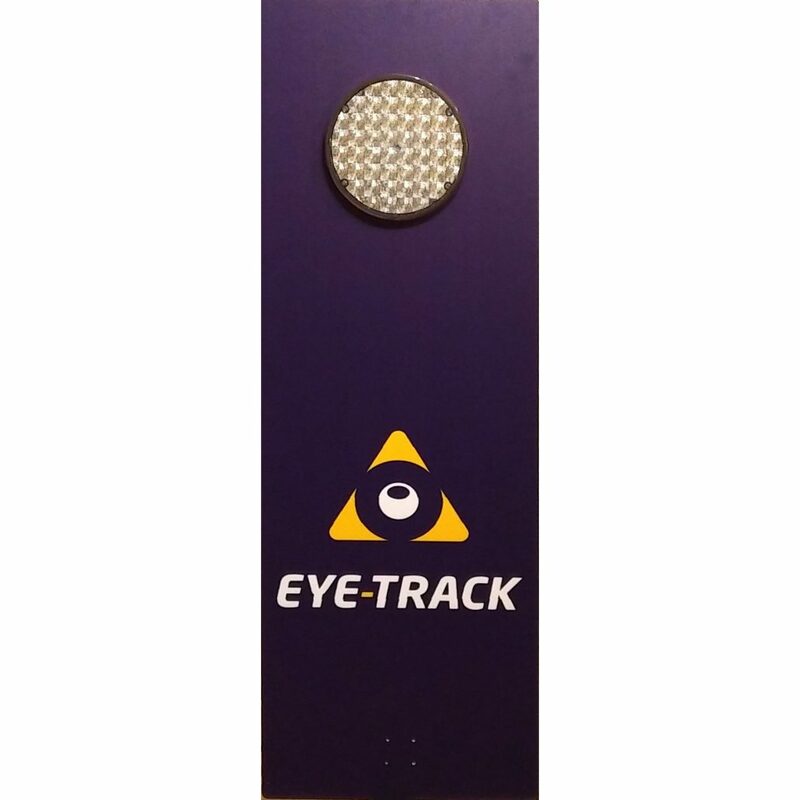 It can be connected to all types of wired or wireless flashing lights and it is equipped with Wi-Fi aerials enabling it to be connected to the EYE-TRACK app for management and to the EYE-TRACK Service Centre for maintenance. 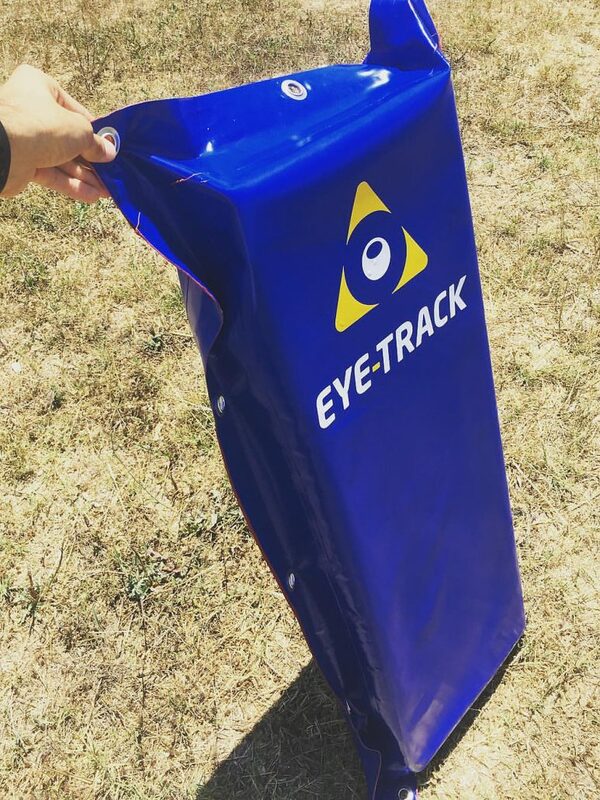 The sensor has to be placed outside the track, near the landing point of the jump, from exactly where a track marshal could see the blind spot to be monitored. 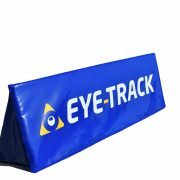 It is suitable for long jumps or short double jumps, with or without height difference. 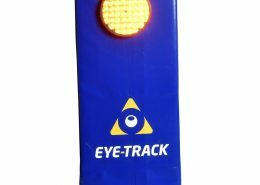 The sensor replaces a track marshal and monitors a blind portion of the track up to 50 metres. 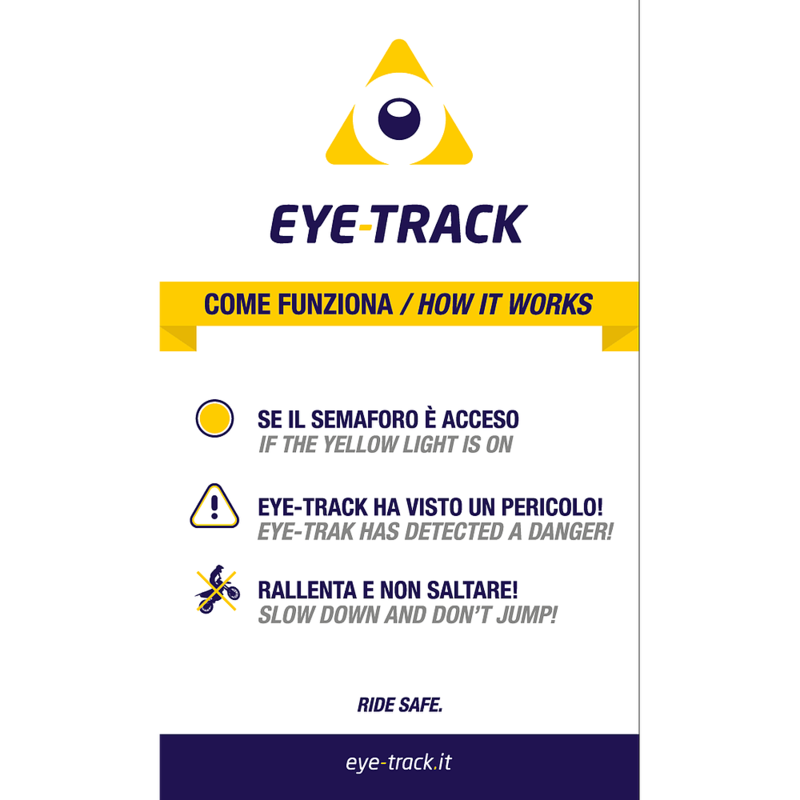 The sensor detects accidents or stops on a portion of the track before and after the landing point of a jump up to 30 metres. 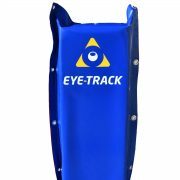 It is small and light, and it comes with a support made of fibreglass, with soft protection that bends in the event of shock. 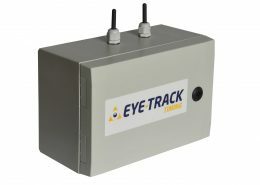 It can be connected to all types of wired or wireless flashing lights and it is equipped with Wi-Fi aerials enabling it to be connected to the EYE-TRACK app for management and to the EYE-TRACK Service Centre for maintenance. 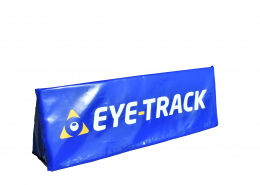 The sensor replaces a track marshal and monitors a blind portion of the track up to 120 metres. 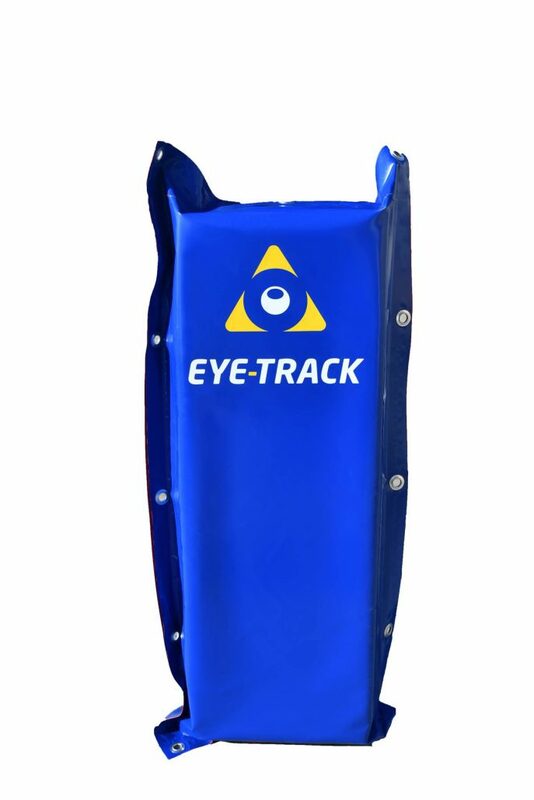 It allows to manually switch up to eight wireless flashing lights on, also without eye-track sensors. 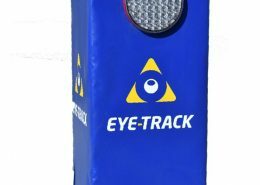 You just need to add wireless flashing lights to create a system aimed at visually monitoring blind spots. 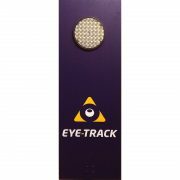 The remote control can be used for a distance of up to 1000 metres from the furthest flashing light. 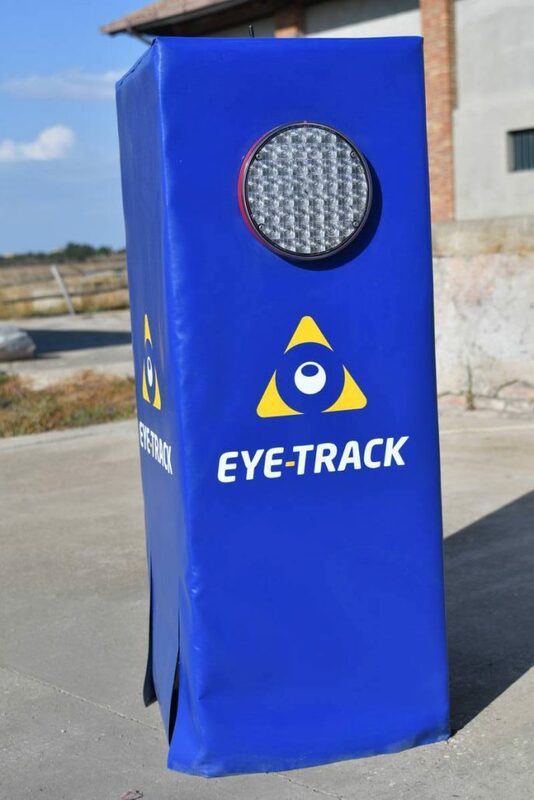 It is suitable for small facilities on a flat ground where it is possible to view all blind spots from just one station. 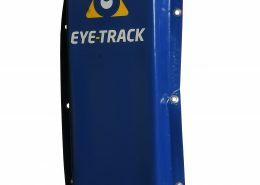 It allows to create a first safety system for the track and it could then become automatic just by adding one or more EYE-TRACK sensors. 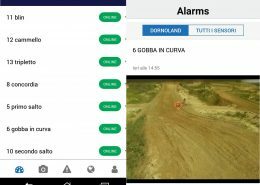 It informs riders of dangerous situations, replacing the track marshal’s flag. In addition to this, it has an effective protection. 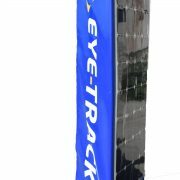 It is wireless and connected to the EYE-TRACK sensor and it is powered through a soft, special solar panel integrated in the protection. 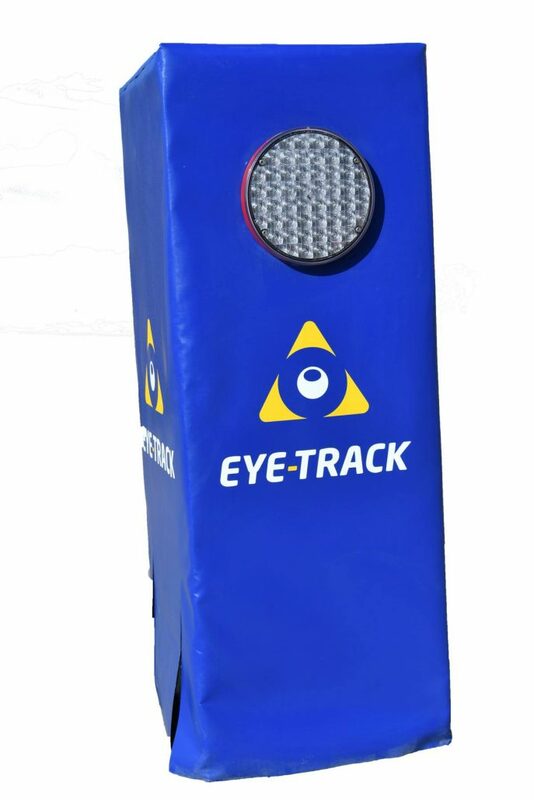 The flashing light should be placed before a blind spot, visible by incoming riders. 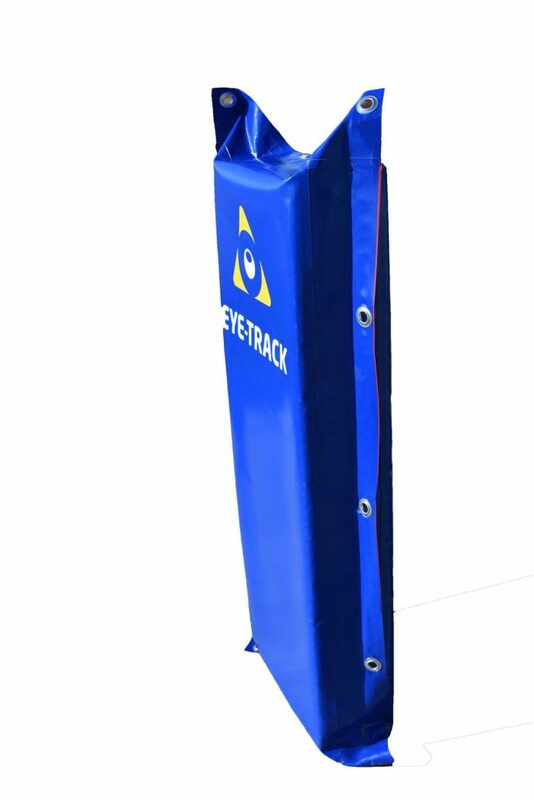 It is a protection placed along the track. 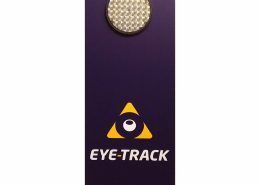 The track is easy to maintain as there are no wires connecting the flashing light to the sensor. 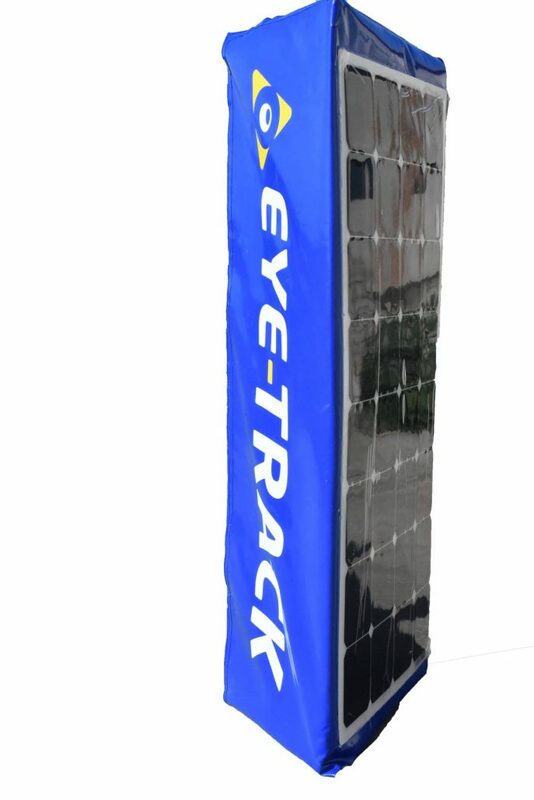 It is equipped with high-brightness LEDs, also visible in bright sunshine. The light is available in yellow or red. 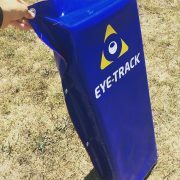 It informs riders of dangerous situations, replacing the track marshal’s flag. In addition to this, it has an effective protection. It is connected to the sensor through a wire. 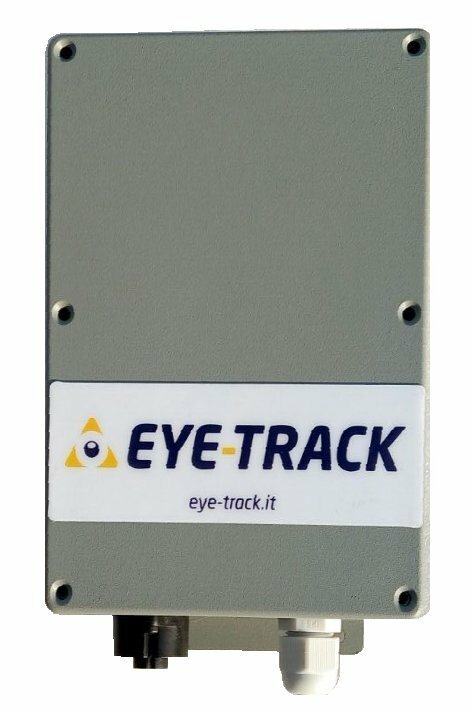 The power supply is integrated in a protection with a flexible panel and an emergency battery and it provides the EYE-TRACK sensor with necessary energy. 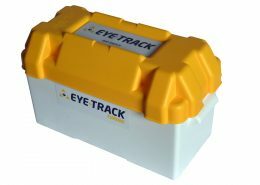 It is connected to the EYE-TRACK sensor through a wire. 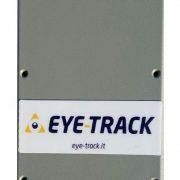 The power supply should be placed outside the track, near the sensor, at a maximum distance of 50 metres from the sensor. 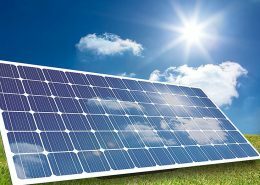 It does not require to be connected to the power grid as it is powered by solar energy. It is the only viable option for power sensors when the power grid is not available. 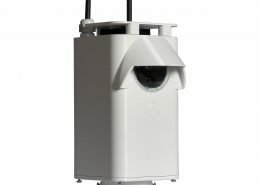 The power supply provides the required energy thanks to a 110/220V power grid. It is connected to the sensor through a wire. It is connected to the sensor through a wire. 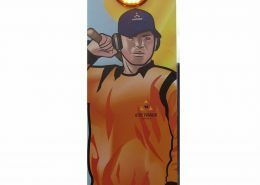 The power supply provides the required energy thanks to a 12V 200 Ah rechargeable battery. 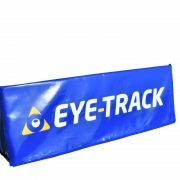 It is mounted on a protection made of expanded polyethylene covered in tear-proof PVC. 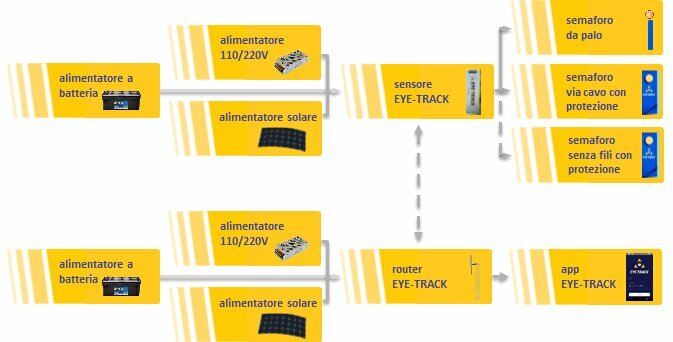 It is connected to the sensor through a wire. To ensure the efficiency of the EYE-TRACK system, it is absolutely necessary that all riders are informed of the presence of the system on the track and are made aware that they have to obey warning signs. 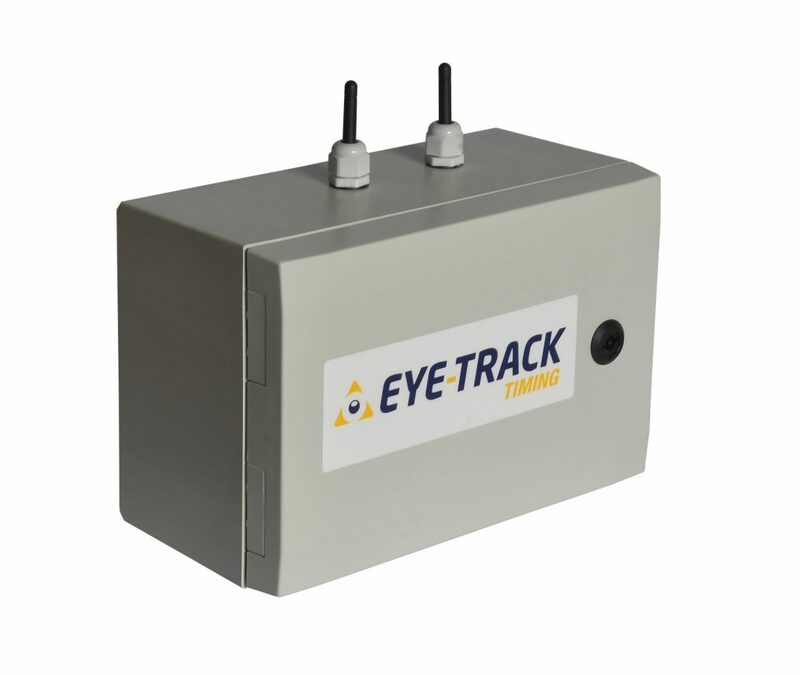 The EYE-TRACK router allows the track manager to monitor the system thanks to the EYE-TRACK app and to the EYE-TRACK Service Centre to verify that the EYE-TRACK sensors work properly and to perform maintenance and setup actions. 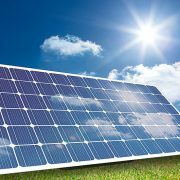 The connection to the 110/220V power grid or to a solar power supply, which is available on demand, is necessary. 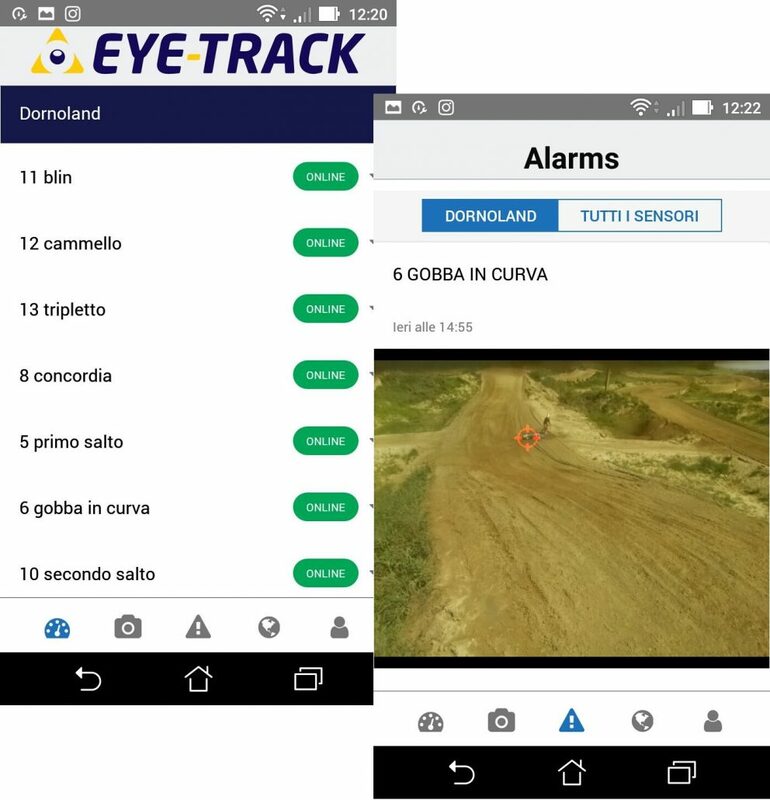 The EYE-TRACK app allows the track manager to monitor and command every component of the EYE-TRACK system. 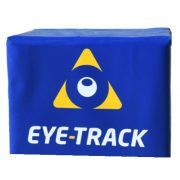 i It works everywhere, no matter the distance from the track. 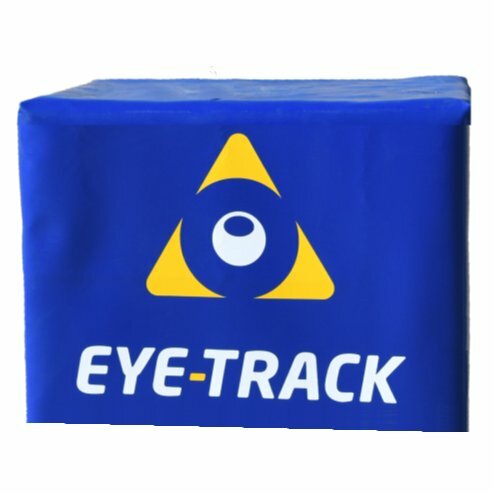 This is the easiest option to manage the sistema EYE-TRACK system. 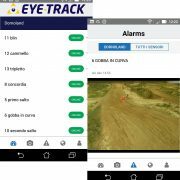 It allows you to monitor the track and to view the images from any location in the world. 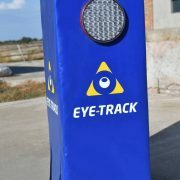 The video surveillance system allows you to view images of blind spots of the track covered by EYE-TRACK sensors on a monitor in real time. 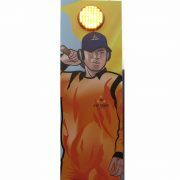 It has a button to manually switch flashing lights on. 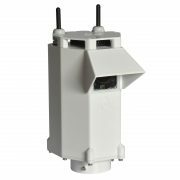 The system includes all neccessary components: videosurveillance station, monitor, high-capacity Wi-Fi network, aerials, 110/220V power supply. The videosurveillance system allows you to ensure the highest standards in terms of safety and reliability. 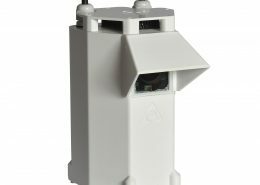 The presence of the video surveillance station in a public area increases riders’ awareness about the system and any warnings coming from flashing lights. 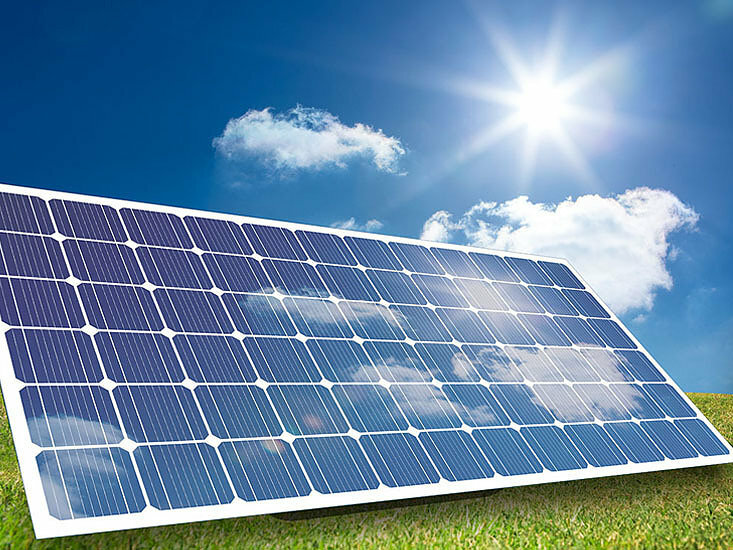 The power supply uses an efficient 500W solar panel. 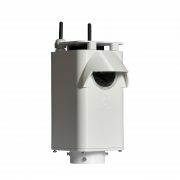 The power supply can be connected to a radio station that creates the high-capacity Wi-Fi network which is necessary to ensure that the videosruveillance station works properly. The power supply should be placed ouside the track, within a distance of 50 metres from the Wi-Fi radio station it is connect to through a wire. 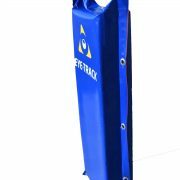 The protection is extremely effective to protect against hydrants, poles, and any other kind of obstacle along the track, or on the path followed by riders going in and out of the track. 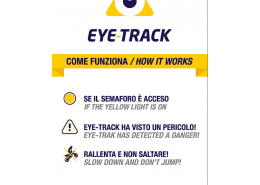 It informs riders and staff along the track of a dangerous situation. 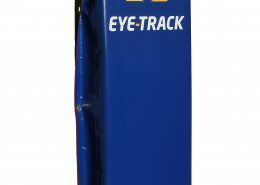 It is connected to the EYE-TRACK sensor through a wire. 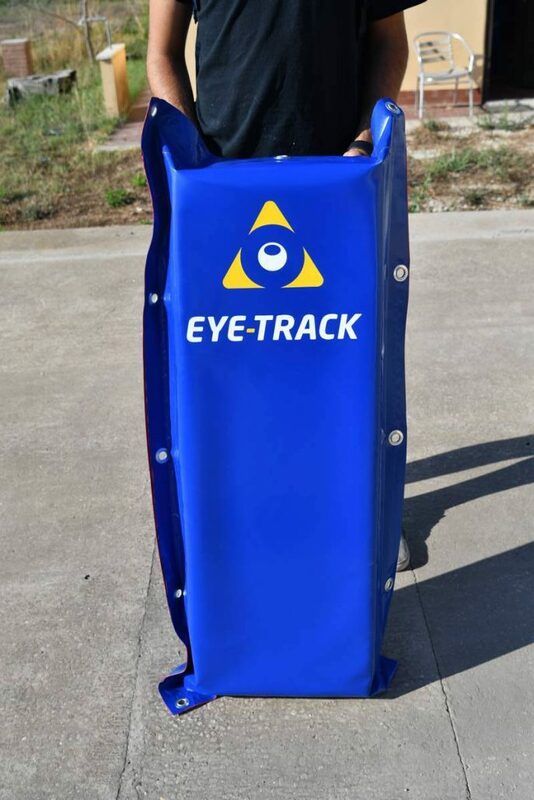 The alarm should be placed before a blind spot of the track and directed so that the sound is audible by incoming riders. 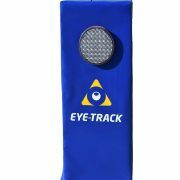 It informs everyone near the blind spot where a dangerous situation has occurred.